From Oscar-winning films to world-class wine, New Zealand’s sunniest region has so much to offer. 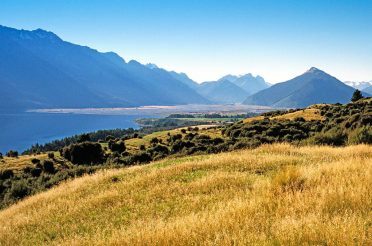 Here are our personal picks for the top 10 things to do in Marlborough, New Zealand! Situated north-east of New Zealand’s South Island, the Marlborough region provides travellers with an excellent blend of vineyards, water sceneries and wilderness, while presenting a range of unique attractions to experience. Whether you are looking for adventure, sightseeing or native flora and fauna, the Marlborough region has a lot to offer. 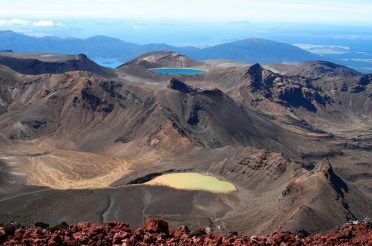 If you're planning a visit to the Marlborough Region and its beautiful sunny climate, here's our recommendations for the Top 10 Things to do in Marlborough, New Zealand. 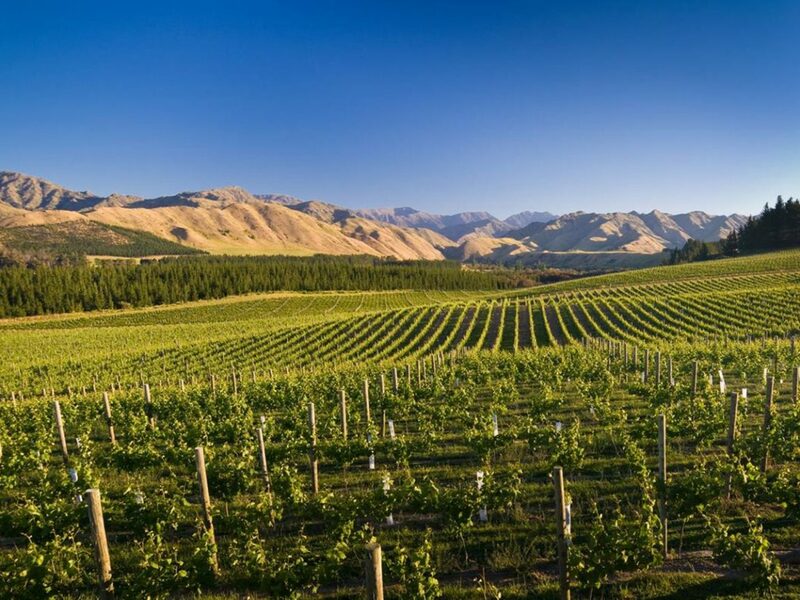 This gorgeous, golden landscape and its unique climate produce New Zealand’s single most revered wine, Marlborough Sauvignon Blanc, as well as other internationally acclaimed varieties. With over 150 wineries and around 50 exclusive cellar doors, you’re spoilt for choice when it comes to wine tastings and vineyard tours set among beautiful Marlborough's scenery. Don’t forget that Marlborough is also home to some of New Zealand’s tastiest craft beers and freshest seafood, so you don’t have to be a wine buff to enjoy amazing gourmet food and drink. 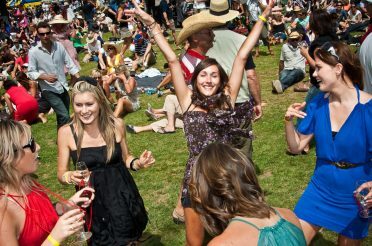 You can ‘do’ Marlborough’s wine country any which way you like, from a leisurely, long lunch at one acclaimed winery to tasting tours around several boutique vineyards on bicycle. You can find filming locations all around New Zealand from both the Lord of the Ringsand The Hobbit movie trilogies, and Marlborough is no exception. In fact, Marlborough’s unique climate and staggering landscapes provided some of the most memorable moments in Peter Jackson’s epic films. Towards Nelson, at the western edge of Marlborough, visitors can take various tours (including on horseback) of filming locations from The Hobbit: An Unexpected Journey. But surely the best Hobbit film location to visit in Marlborough is the Pelorus river, near Havelock. 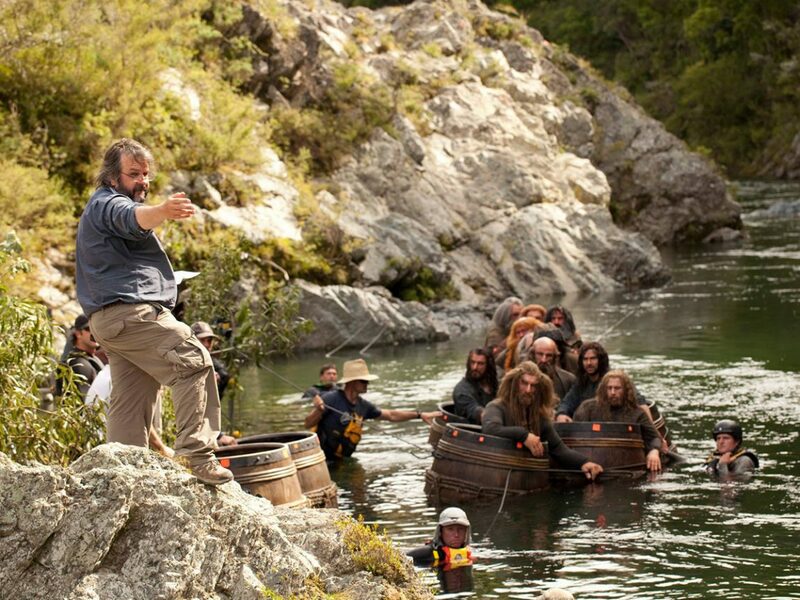 Peter Jackson selected the Pelorus to be ‘Forest River’ in The Hobbit: The Desolation of Smaug, and it was here that the dramatic dwarves’ barrel escape scene was filmed. 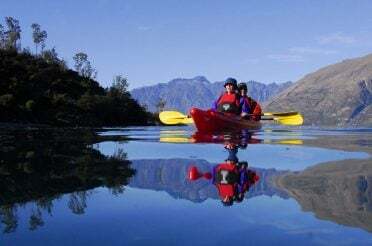 A guided kayak tour down the Pelorus river is as close as you’ll ever get to escaping Thranduil’s realm in real life! 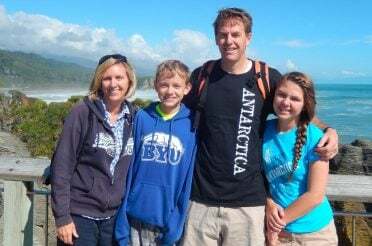 Very few towns and cities in New Zealand pack historical charm, a picturesque setting and vibrant culture into such neat a little package as Havelock. 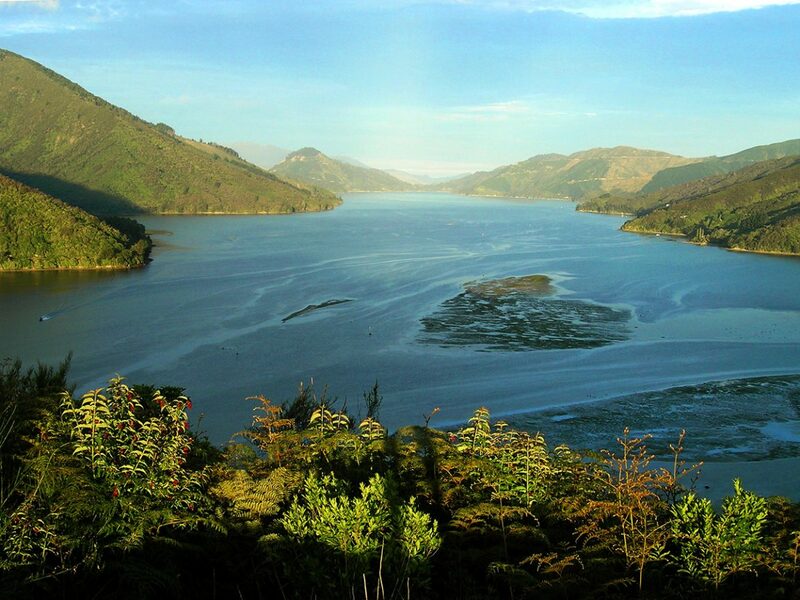 Located at the mouth of the Pelorus and Kaituna rivers, Havelock is the gateway to beautiful Pelorus Sound. However, it’s well worth spending time in the town itself. Originally a gold-mining settlement, Havelock has some gorgeous historical buildings from New Zealand’s colonial period, and the town’s museums are well worth visiting (the Havelock Museum has a great flea market on Saturdays, too). Havelock also has an abundance of funky contemporary art galleries, housed in lovely old buildings, as well as plenty of fantastic places to eat – don’t forget that this is the ‘green-shell mussel capital of the world’! 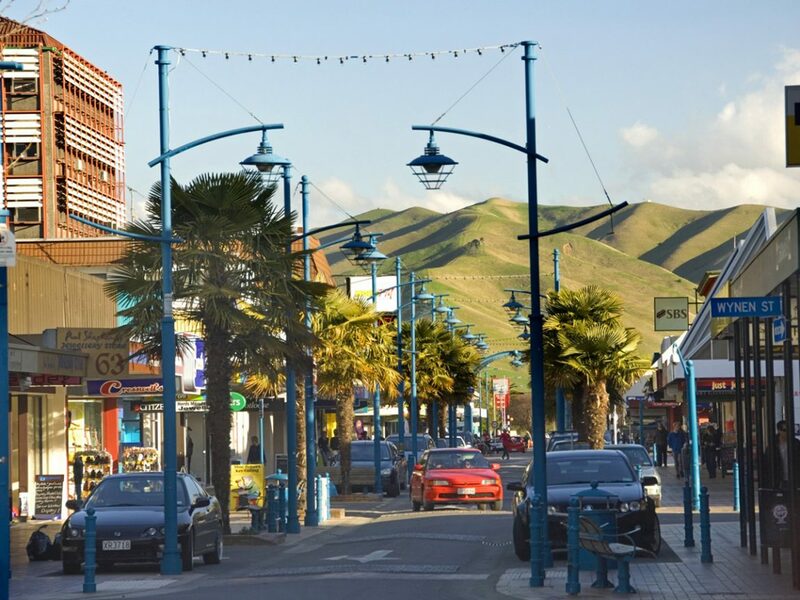 Marlborough’s commercial and social centre, with about 30,000 inhabitants, sits somewhere between rural New Zealand town and hip modern city, with the best bits of both. It has a laid-back atmosphere and friendly locals, you can walk around the historic town centre in under an hour and you won’t run into traffic jams. At the same time there are some seriously good modern restaurants (with Marlborough’s stellar wine and seafood featuring prominently), several art galleries, some chic bars and a popular farmers’ market on Sunday mornings in summer. Golf is also a big drawcard, with several first-rate 18-hole courses around Blenheim, all of them offering stunning backdrops. Crystal-clear water, rocky gorges and lush beech forests – the Pelorus is the quintessential New Zealand river. It’s easy to get to, less than an hour from both Blenheim and Nelson, but it can feel like you’ve left the mad modern world behind in this little slice of paradise. There are many walking tracks, ranging from easy strolls through the forest to more rewarding outings, like a trek to a secluded rock pool and waterfall, or you can challenge yourself to the hike up a ridge to a 417-metre pinnacle for outstanding panoramic views. 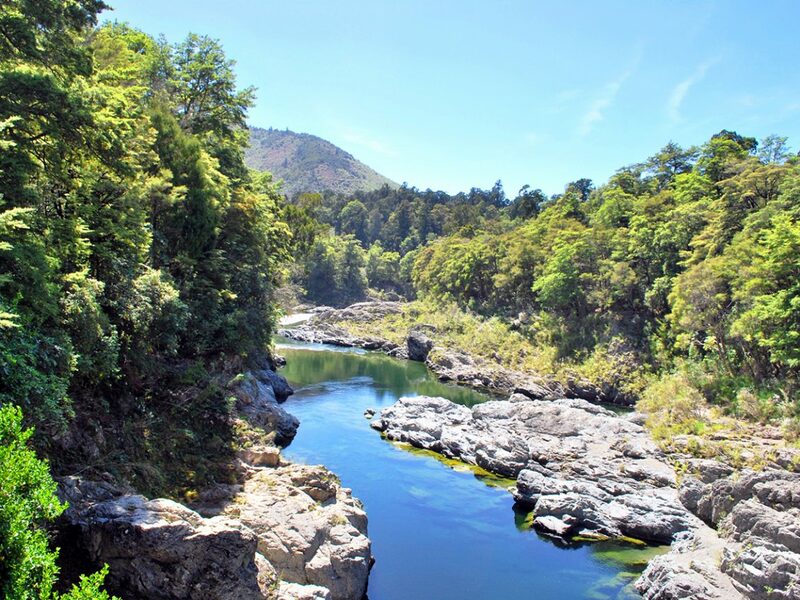 The river is dotted with countless swimming holes to cool off, and don’t forget to keep an eye out for flora and fauna because the Pelorus river hosts a vibrant ecosystem of New Zealand plant and animal species. If you really want to observe New Zealand’s unique native flora and fauna, though, you shouldn’t miss the chance to visit Kaipupu Point Wildlife Sanctuary, located just beside Picton. This community initiative is managed by volunteers and conservation experts, and it provides a safe haven for many native and endemic New Zealand plant and animal species, thanks largely to a 600 metre predator-proof fence erected in 2008. 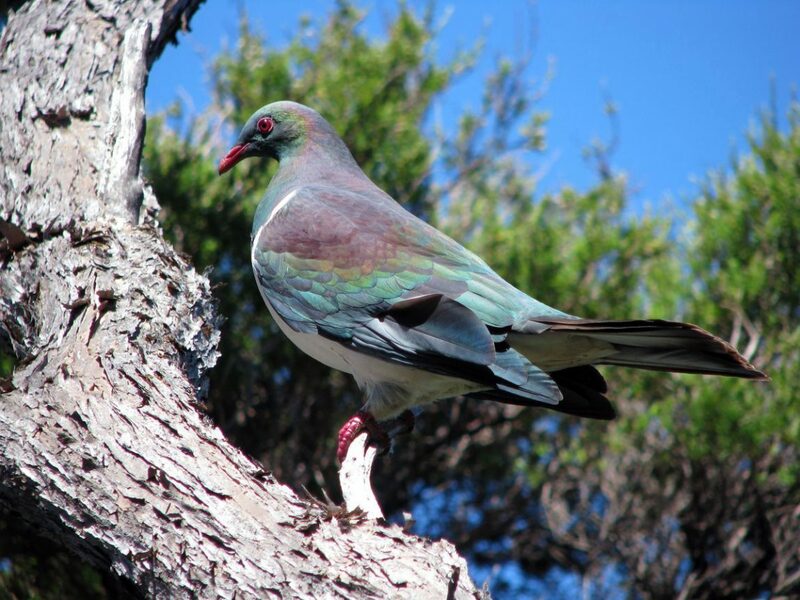 A diverse range of New Zealand birds are common residents, including tui, kereru (native New Zealand pigeon), bellbirds, weka, fantails, grey warblers, kingfishers, little blue penguins, South Island pied oystercatchers, black-backed gulls, red-billed gulls, shags and the rare rowi kiwi. A 3 km walking track around Kaipupu Point Wildlife Sanctuary takes you through some pristine native New Zealand bush and provides plenty of serious photo ops! The Marlborough Sounds are an awe-inspiring mash-up of land and sea. Dense forest and pond-like water overlap with logic-defying regularity throughout these photogenic drowned river valleys. Okay, we’re getting carried away, but you should notmiss the chance to see the Sounds while you’re in Marlborough. Queen Charlotte Sound is the most accessible and – arguably – most picturesque. You can get around Queen Charlotte by boat, bus (within reason) or car, but by far the best way to see it is along the fantastic Queen Charlotte Track: winding its way through forest, fields and coastline, along hilltops and into gullies, the Queen Charlotte walking track reaches from Ship Cove to Anakiwa. You can connect with it,in four different locations for shorter trips along the length of the trail by boat or car, or tackle the entire thing over 3-4 days. While Queen Charlotte Sound is beautiful, there is something to be said about the wild remoteness of its lesser known neighbour, Pelorus Sound. 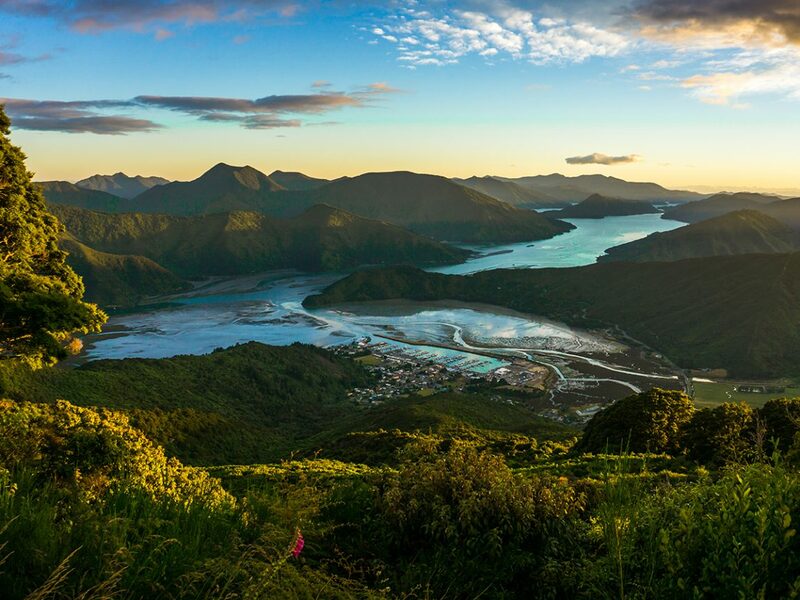 Less developed than Queen Charlotte, Pelorus Sound features swathes of untouched bush, quaint towns and unpopulated beaches and coves, and the still waters and beautiful, rugged landscape make Pelorus Sound a dream spot for yachting. 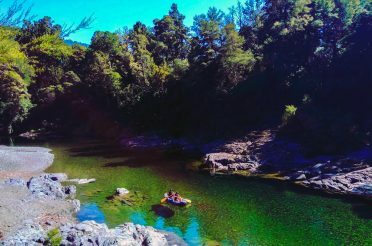 Together with Kenepuru Sound, an arm of Pelorus, this is also where you'll find some of the best fishing spots in Marlborough (secret or otherwise) – some of the best fishing spots in New Zealand, for that matter. Beautiful red snapper are the prized local catch, though you’ll also find plenty of kingfish, blue cod, salmon and much more. If you don’t have access to a boat (rental or otherwise) don’t worry, because fishing charters come in all shapes and sizes (and lengths of time and locations). For the full experience, compare fish sizes by holding out your hands over a beer and mussels at a local pub, such as the legendary Portage Hotel. 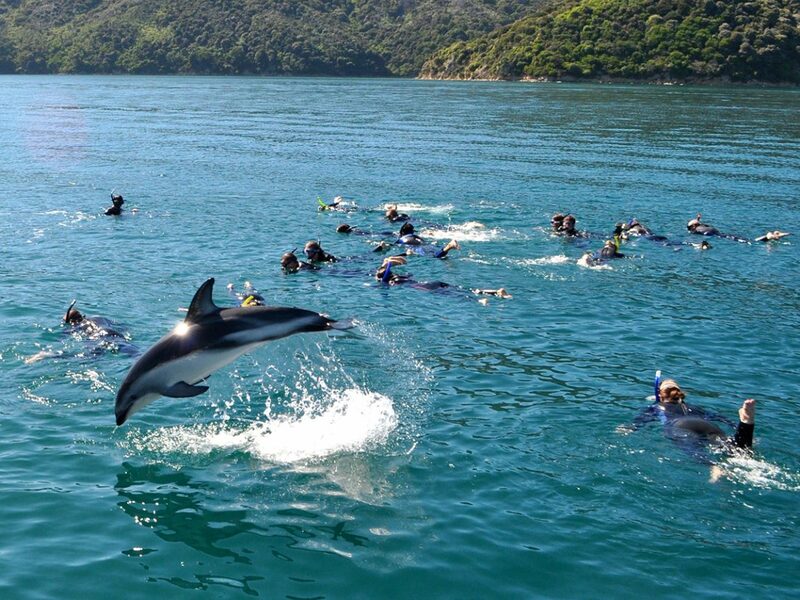 Even if swimming with dolphins isn’t on your have-to-do-before-I-die list, you may regret leaving Marlborough without taking the chance to get up close and personal with these smart, beautiful creatures. Five different species of dolphin call the Marlborough Sounds home: bottlenose, dusky, orca, common and the very rare Hector’s dolphin, New Zealand’s only endemic cetacean species. 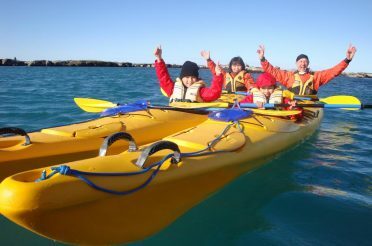 Viewing dolphins from a boat is just as exciting as swimming with them (plus it offers a bit more of a natural experience, seeing them in their natural habitat), though you can do both in Marlborough, and tours depart from Havelock, Picton, Blenheim and elsewhere. 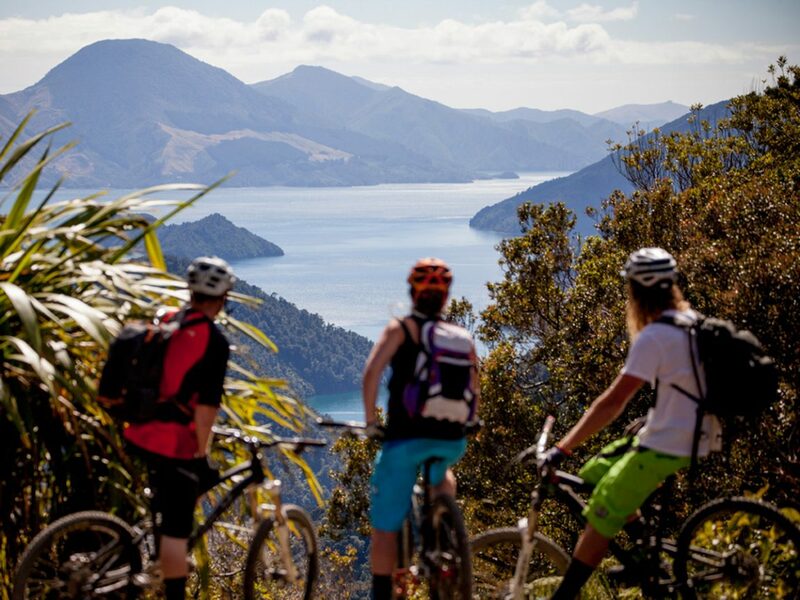 Undoubtedly one of the best ways to take in Marlborough’s stunning scenery is on a bike. For starters, Marlborough sunshine is famous and inclement weather isn’t as much of a threat as other places around New Zealand. There are also plenty of options, with loads of cycle trails, mountain biking tracks and bike-friendly roads. 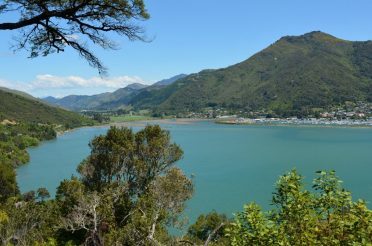 There are too many to name, but here are a few recommendations: the ride between Havelock and Picton (c. 40km) is a great way to connect between the two, and the Queen Charlotte Track (see above) is excellent for biking, too.